Jackstones! I yelled as we started walking on the edge of Playa de Oro Resort, the only one of its kind that caters to Vigan’s Mindoro Beach. 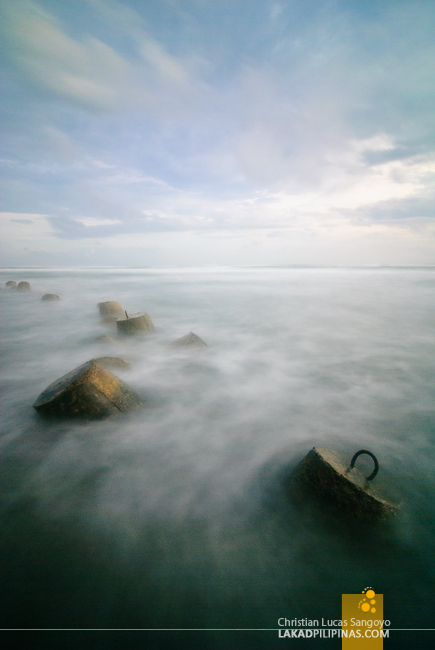 I was referring to the massive concrete wave stoppers that are scattered near the beach. I knew immediately that this was where I would plant my tripod once the sun lowers down to the horizon. 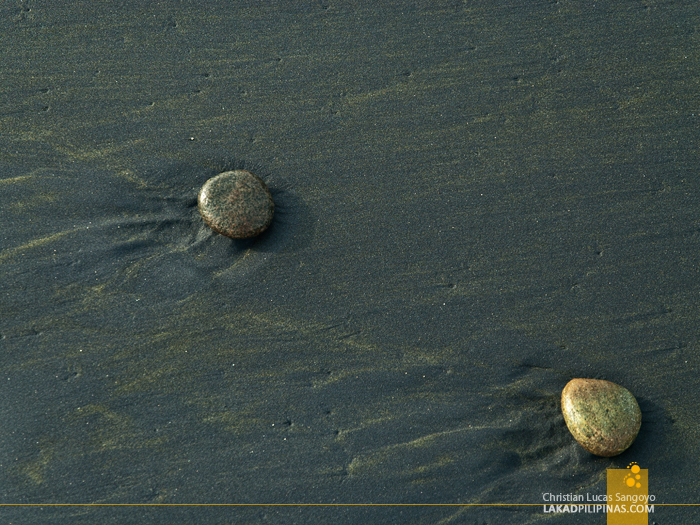 The second thing I noticed as we went past the jackstones and walked further north was the sand. It was black. 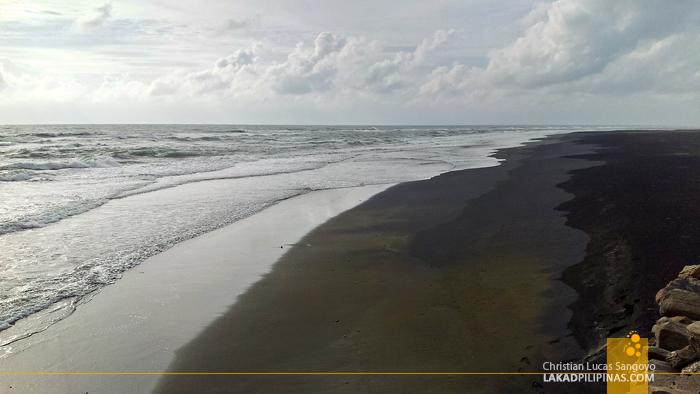 Not black because it’s dirty, nor brownish black like the sands are in some parts of the Philippines. I simply cannot believe my eyes. 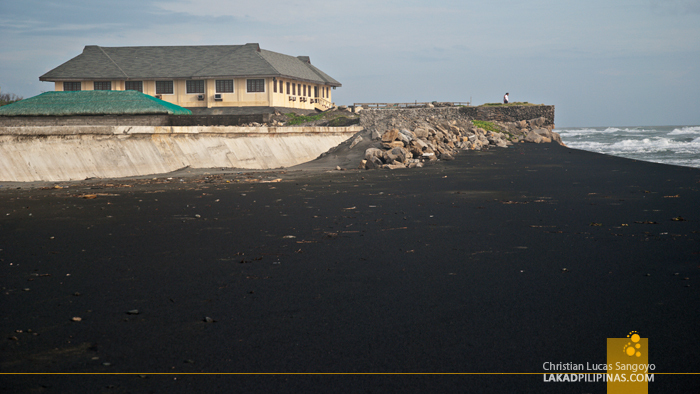 I’ve been to this beach some years back, but I didn’t notice the black sand that covers it. It may be due to my direction during that time, I explored the southern side of the beach back then where some kids were swimming across the not-so-calm sea. Along with some fishermen netting in their catch, the kids were unperturbed by the larger than usual waves slamming into the shore. The beach seemed totally forgettable back then, the sand almost the same shade of gray as those in the beaches of Batangas. On this second visit, I was totally mesmerized by Mindoro Beach. I have no idea that Vigan City has a beach, let alone a black sand beach. I know how rare these kinds of beaches are, and it was the first time for me to experience such. 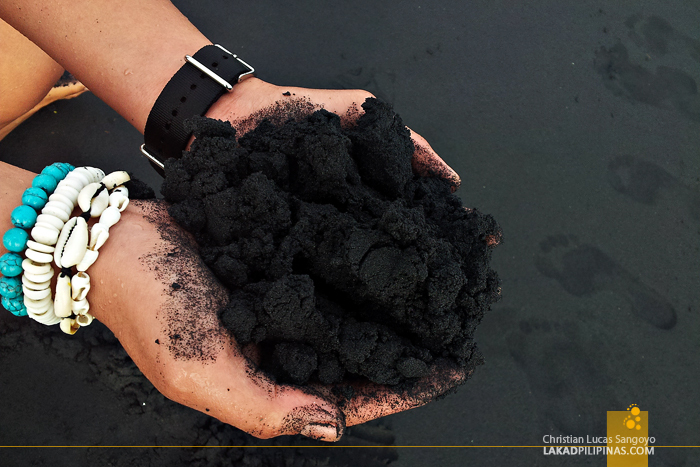 Although foreign tourists will die for a black sand beach, this kind of sand, however, is not very popular with the Filipino beach-goers. And it is quite apparent during our visit; there were hardly anyone on the beach except us and three locals body slamming with the waves. We literally have the whole stretch of Mindoro Beach just for ourselves. 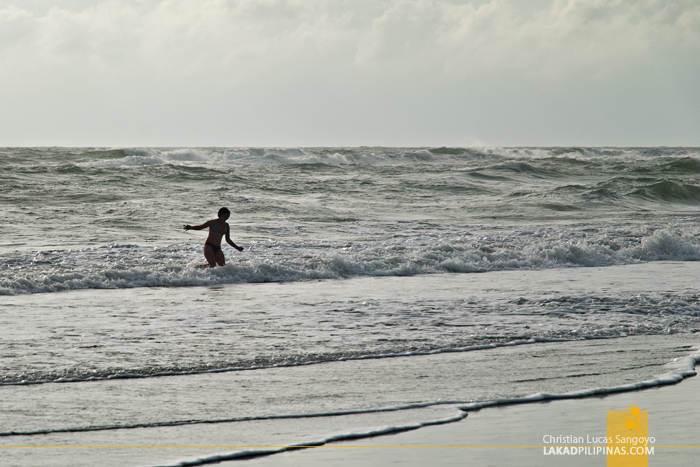 We were more than curious as to why Mindoro Beach has such sand. At first we thought it might be from an oil spill, but soon crossed that out; it doesn’t seemed slick with oil. I later learned that the sand is rich in iron ore or magnetite, a precious mineral commodity. And my suspicion about why other parts of the beach are not black were confirmed, this place has already been legally and illegally mined in previous years before the locals protested and put a stop to it. 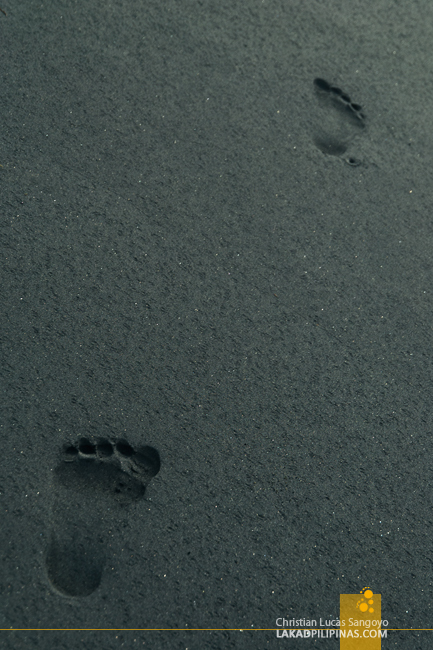 I examined the sand closely and noticed that it has a certain sparkle to it that I haven’t seen in any kind of sand. 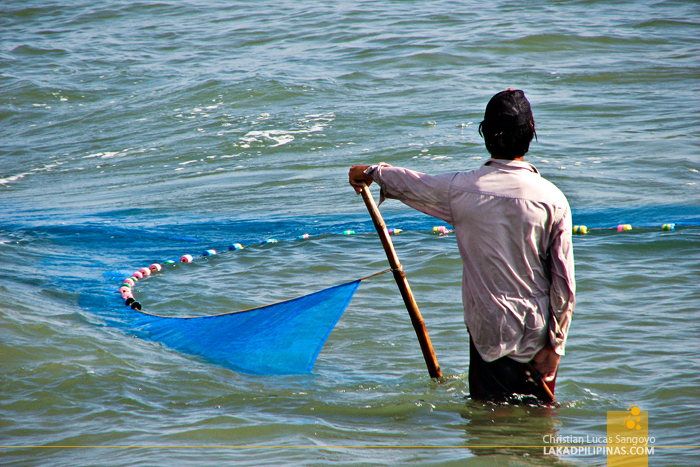 Walking upon Mindoro Beach, my eyes searched the horizon for its end. The beach seemed to stretch forever. 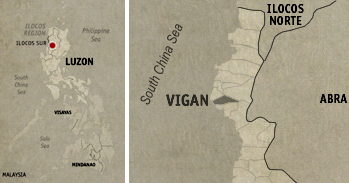 I checked Google Maps and found that the beach stretched along the whole of Vigan City bordering the South China Sea. It then sprawls further to other neighboring towns on both sides of the city. Since the weather the past few days were less than ideal, the waves booming across the shore of Vigan’s beach were monstrous. I wouldn’t advise swimming during these times, so did a passing local who called us back to shore when he saw us. We contented ourselves to frolicking at the edge of the shore, with the occasional stronger waves making us roll like ragdolls. Good thing I was wearing a rugged watch I got from Zalora some months back. The sun was still hiding behind a thick blanket of clouds as I set my tripod down and mounted my camera on it. I knew there was no way I’d have my sunset now. But still, I pressed the shutter and waited for my exposure to finish. 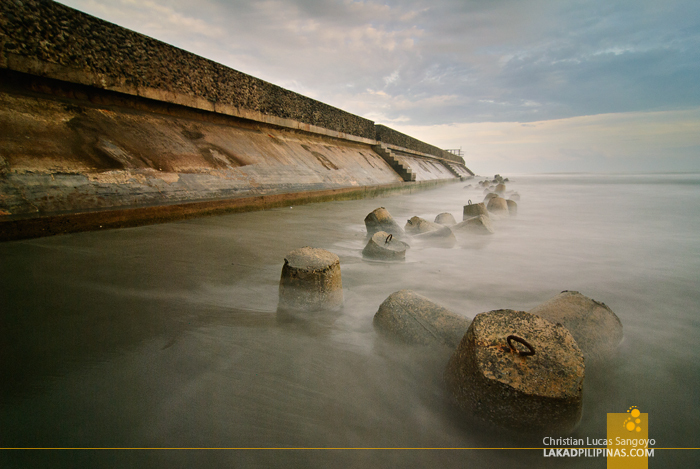 Coming back to Vigan’s Mindoro Beach was still an awesome experience, with or without the sunset I was hoping for. Last photo is a fave even if no sunset.